Avago Technologies, a leading supplier of analog interface components for communications, industrial and consumer applications, today announced a front-end module with robust filtering for 802.11 b/g/n WiFi and Bluetooth radios in handsets and mobile routers for tablets and other portable PC devices. The new AFEM-S102 module integrates a Film Bulk Acoustic Resonator (FBAR) coexistence filter, SP3T antenna switch and TX path coupler in a small 2.2 by 2.2 by 0.55 mm package that is ideal for space-constrained applications. The 2.5-GHz module delivers superior out-of-band rejection enabling concurrent operation of WiFi and Bluetooth data-communication with cellular communication standards. Avago front-end modules integrate multiple high-performance technologies to reduce PCB board footprint and simplify design for portable electronics applications. 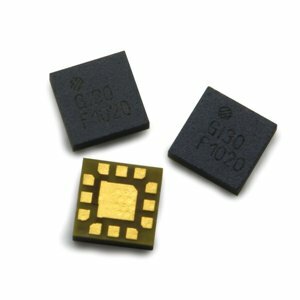 The AFEM-S102 module exhibits low insertion loss that combines with high noise rejection to meet stringent coexistence requirements and enable fewer interference issues between WiFi, Bluetooth and other radios. Effectively leveraging Avago 0.25 µm GaAs enhancement-mode pHEMT process and its leading-edge proprietary FBAR filtering technologies, the module delivers 2.6 dB maximum insertion loss for the TX path and 35 dB rejection in the 2110-2170 MHz range. "As smartphones and other portable electronics devices add more radio types and bands, coexistence requirements are getting more stringent," said James Wilson, director of marketing for wireless products at Avago. "The best-in-class rejection and insertion loss of our proprietary FBAR technology enables OEMs to efficiently address these challenging radio environments. The easy-to-use AFEM-S102 front-end module was designed in conjunction with a leading handset designer for their reference design, specifically to meet the coexistence requirements for WiFi and Bluetooth applications." Avago FBAR technology delivers steeper roll-off and lower insertion loss than ceramic or SAW filters and other competing technologies, and does so in a more compact form factor. Low insertion loss reduces power amplifier current and improves receiver sensitivity and dynamic range, resulting in extended battery life and talk time and better signal quality for handsets. FBAR technology makes ultra-small, high-Q filters possible at a fraction of their usual size, and allows integration with other radio components.